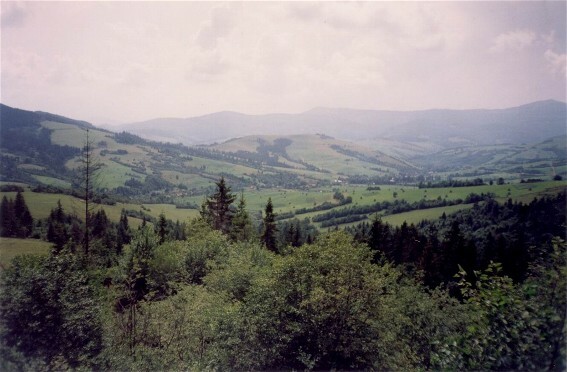 Transcarpathia or Transcarpathian Ukraine (Закарпаття; Zakarpattia). (Map: Transcarpathia.) A historical-geographic region in southwestern Ukraine, incorporating the southern slopes of the Carpathian Mountains and a portion of the adjoining Tysa Lowland. Territory. Transcarpathia is the only part of Ukraine located beyond the Carpathian Mountains that makes up part of the Pannonian Basin. Accessible to the main territory of Ukraine through numerous mountain passes, it joins Ukraine with that part of East-Central Europe. Moreover, along the southern rim of the Carpathians and the upper Tysa River (the Maramureş Basin) a route connects Transcarpathia with Slovakia to the west and with Transylvania and Moldova (within Romania) to the east. As a small region located off major routes Transcarpathia constituted a marginal province of Hungary for many centuries. Moreover, it was subdivided into a number of counties (Hungarian names: Máramaros, Ugocsa, Bereg komitat, Ung, Zemplén komitat, Sáros, Szepes) that incorporated parts of Hungarian, Slovak, and Romanian ethnographic territories. Until 1919 Transcarpathia denoted that part of Hungary where Ukrainians lived, and the synonymous terms Hungarian Ruthenia (Uhorska Rus’) and Hungarian Ukraine (Uhorska Ukraina) were widely used. Bounded by the ethnographic boundary with Romanians and Hungarians in the south and Slovaks in the west, the region encompassed 15,600 sq km. After the First World War Transcarpathia was separated from Hungary, and the bulk of its territory was formed into an autonomous region within Czechoslovakia called Subcarpathian Ruthenia (Pidkarpatska Rus’) or Carpatho-Ukraine. A small part of Transcarpathia, located south of the Tysa River within the drainage basin of the Vyshava River (Vişeu in Romanian), became part of Romania (see Maramureş region); in Transcarpathia's western reaches, the Prešov region was allocated to Slovakia. A narrow strip of Hungarian ethnographic territory was added to Carpatho-Ukraine with the intent of securing an east–west railroad link (Košice–Chop–Khust–Rakhiv) for direct communication with the rest of Czechoslovakia and a connection, via a branch line, to Romania. Transcarpathia's status for the 1918–38 period with respect to area and population is summarized in Table 1. Within Czechoslovakia Transcarpathia played an important geopolitical role as the bridge linking Czechoslovakia with Romania (the territorial axis of the Little Entente). At the same time it separated Hungary from its traditional ally, Poland. Later, Transcarpathia provided the Union of Soviet Socialist Republics with a foothold in the Pannonian Plain. Beginning in 1938 the borders of Carpatho-Ukraine underwent a number of changes. After the Vienna Arbitration, Carpatho-Ukraine was transferred as a dependency to Hungary, with a compensation (1,050 sq km, 41,000 people) made in the west at the expense of Slovakia. Consequently, the administrative territory of Transcarpathia within Hungary in 1939–44, according to 1941 data, encompassed 12,060 sq km and contained 622,000 residents. Within the borders of Ukraine Transcarpathia occupies almost the same territory as it did within prewar Czechoslovakia, with a slight increase in the southwest around Chop. It constitutes a separate administrative unit, Transcarpathia oblast, with a territory of 12,800 sq km and a population of 1,258,300 (2001). Physical geography. Transcarpathia encompasses two different natural regions, the Tysa Lowland (now also called the Transcarpathian Lowland) and the southern watershed of the Ukrainian Carpathian Mountains. The Carpathians in Transcarpathia have a banded structure common to the rest of the Eastern Carpathians, consisting of alternating parallel ridges and valleys. The parallel ridges are cut occasionally by the tributaries of the Tysa River, which join the entire region into a unified whole. The western part of Transcarpathia (the Prešov region) in Czechoslovakia lies mainly in the Low Beskyd and the Western Beskyd. 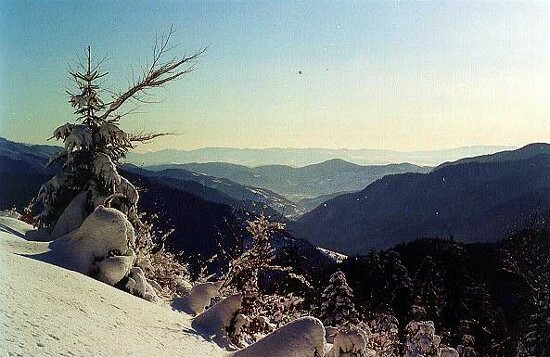 The climate of Transcarpathia is temperate continental. Sheltered by the Carpathian Mountains from cold, northern winds, it is warmer than other parts of Ukraine at similar latitudes. In the Tysa Lowland and the foothills the climate is conducive to the cultivation of orchards, vineyards, and even some subtropical plants. 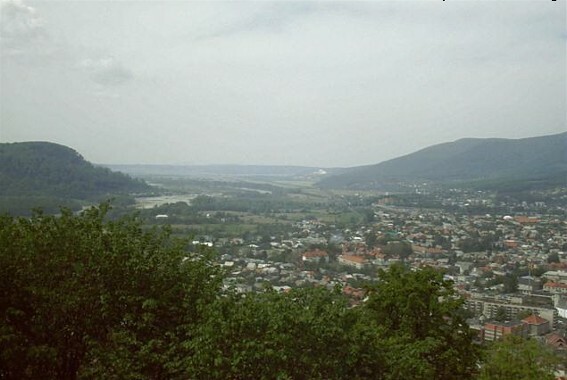 Uzhhorod, at an elevation of 115 m, has a mean January temperature of –3.1°C and July temperature of 20.5°C. Its mean annual precipitation is 800 mm. At higher elevations in the mountains the climate gets colder and damper. In Yasinia, at an elevation of 645 m, the mean January temperature is –5.9°C and the mean July temperature 16.0°C, and the mean annual precipitation is 955 mm. Even more noticeable is the influence of elevation on vegetation zones, which progress from the forest-steppe in the lowland (105–200 m), where the forest groves consist of English oak (Quercus robur) with hornbeam and, less frequently, ash, through the broad-leaved forests in the foothills (200–600 m), where Durmast oak (Quercus petraea) with hornbeam and, occasionally, beech is common, to the mountain slopes, which range from beech forests (800–1,000 m) to mixed beech-spruce forests (1,000–1,300 m, with admixtures of ash, maple, and elm), coniferous forests (1,200–1,600 m, spruce, with occasional beech and maple), and stunted forest (up to 2,000 m, consisting of maple, beech, alder, spruce, juniper, and mountain pine). Alpine meadows prevail on exposed slopes and at higher elevations. Prehistory and early history. The oldest remains of human activity in Transcarpathia indicate the presence of the Acheulean culture (300,000 years ago) of the Lower Paleolithic Period. From that time people (including the Mousterian culture of the Lower Paleolithic) have inhabited Transcarpathia. During the Neolithic Period there was trade involving the export of obsidian artifacts from Transcarpathia across the Carpathian Mountains to the Dnister River Valley. In the Bronze Age (ca 1800 BC) Transcarpathia maintained continuity in its painted pottery style of the Stanove culture but gained metalworking skills (swords, knives, sickles, axes) as a result of the arrival of Thracian tribes from Transylvania. Subsequently Transcarpathia came under the control of the Celts, who arrived from the west and brought with them iron-smelting (ca 400–200 bc); the first local coins were minted in the 3rd century BC. Of the eastern nomadic peoples the earliest to influence Transcarpathia were the Iranian-speaking Scythians (expressed locally from the 6th century BC in the Kushtanovytsia culture) and then the Iazyges, a Sarmatian tribe confronting the Romans in Dacia (50 AD); their influence was followed by the invasions of the Turkic-speaking Huns (380 AD), the Avars (558 AD), and, finally, the Ugro-Finnic Magyars (896 AD). In the 2nd century AD neighboring Dacia (Transylvania) became a Roman province, and Roman merchants visited Transcarpathia. In the early Middle Ages Transcarpathia was traversed by Germanic tribes. Remnants of the Ostrogoths (the Gepidae) remained in neighboring Transylvania until the 10th century. The Slavic colonization of Transcarpathia began in the 2nd century, with migration from the north across the mountain passes. By the 8th and 9th centuries the lowlands of Transcarpathia were fairly densely peopled by White Croatians (at the time inhabiting both the north and the south side of the Carpathians). The Slavs in the upper Tysa River and in Transylvania were subject to the Avars (6th–8th centuries) and later to the Bulgarian kingdom (9th–10th centuries). With the collapse of Bulgaria in the second half of the 10th century, Transcarpathia came under the sphere of influence of Kyivan Rus’. The Kyivan chroniclers noted the participation of the White Croatians in the campaigns on Byzantium. Following the incorporation of the White Croatians by Prince Volodymyr the Great into his realm, the name Rus’ or Ruthenia became entrenched in Transcarpathia. 11th to 15th centuries. King Stephen I joined Transcarpathia to Hungary while his son, Imre (Emeric), was titled Prince of the Ruthenians. From that time until the beginning of the 20th century Transcarpathia remained within the Hungarian state as its border province in the northeast. Through Transcarpathia passed a fortified defense line consisting of stockades and wooden forts manned by the local Slovak and Ruthenian population (the Ruthenian March). 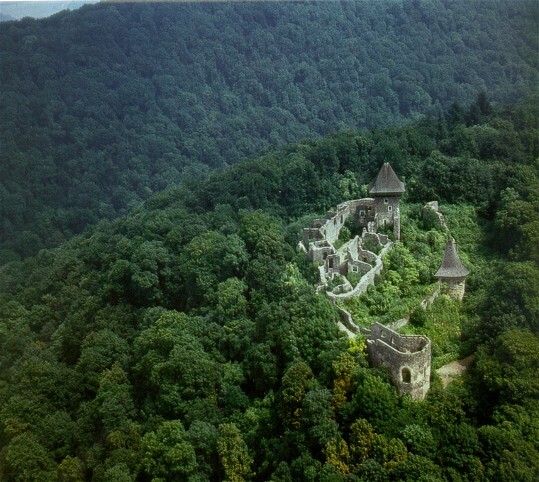 It was completely destroyed during the Tatar campaign against Hungary (1241), when the invaders made their way through the mountain passes. 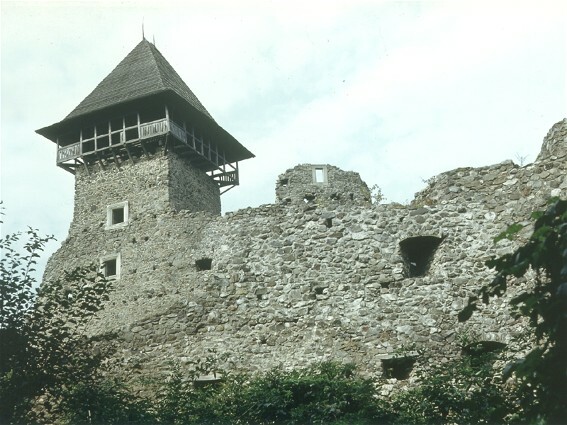 In the 13th and 14th centuries stone castles capable of withstanding a long siege were built in place of wooden stockades. Feudalism developed as well, and royal domains were transformed into gentry latifundia, which in part survived into the 20th century. Simultaneously Transcarpathia was subdivided according to a new komitat, or territorial-administrative structure. Ukrainians constituted a minority element among the feudal aristocracy in Transcarpathia. Initially the Mukachevo dominion was granted in succession to two Rus’ sons-in-law of the Hungarian king Béla IV (1235–70), Prince Rostyslav Mykhailovych of Chernihiv and Prince Lev Danylovych of Galicia. In the period from 1315 to the 1320s a group of nobles from northern Hungary, hostile to the Anjou dynasty, even attempted to invite to the Hungarian throne one of the Yuriiovych brothers, Andrii Yuriiovych or Lev Yuriiovych. In 1393–1414 the lord of the Mukachevo dominion was Prince Fedir Koriiatovych, a Ukrainianized Lithuanian who was instrumental in the Ukrainian colonization of Transcarpathia. By the first half of the 15th century, however, the Mukachevo dominion was being ruled by the Serbian ‘despot’ princes, S. Lazarević and D. Branković. After that the Slavic and Orthodox element completely disappeared from the aristocracy of Transcarpathia. The indigenous Ukrainian population was reduced to serfdom, and only occasionally did one of its members achieve the status of petty gentry or clergy. From the middle of the 13th century until the end of the 15th century, Transcarpathia was affected by two colonizing movements, the Wallachian movement from the east and the German-Slovak movement from the west. The Wallachians in Transcarpathia were not exclusively Romanians but consisted of Romanian and Ukrainian pastoralists who had transplanted themselves first to Transylvania and then to the valleys of both sides of the Carpathians. German colonization came on the heels of the Tatars and built up the area with a number of towns with Germanic law (Magdeburg law)—Prešov, Bardejov, Berehove, Sevliush, Khust, and others. Deprived of a political structure and social elite the Transcarpathian Ukrainians preserved their ethnic identity principally through their religious distinction. Eastern-rite Christianity began to spread in Transcarpathia probably in the 9th and 10th centuries, when the region was part of Bulgaria. Factual accounts about church life did not appear until later. 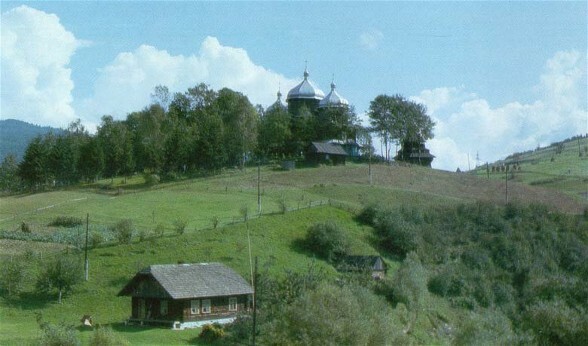 By the 14th century several monasteries had been established in Transcarpathia, among them two of outstanding importance, the Mukachevo Saint Nicholas's Monastery and Saint Michael's Monastery at Hrushiv, in the Maramureş region. The latter obtained the right of stauropegion in 1391. 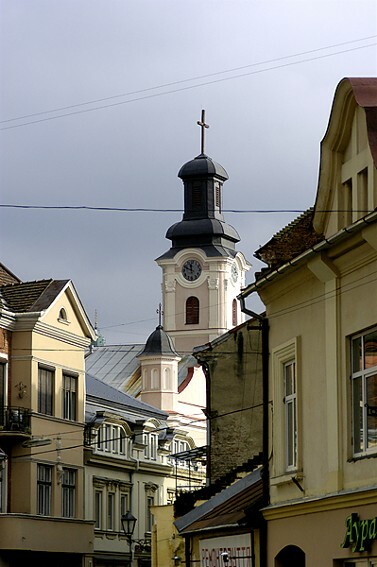 Mukachevo was the seat of an Orthodox Mukachevo eparchy (first mentioned in 1491), the religion of which was merely tolerated in Hungary, and the clergy and monasteries of which were dependent on the goodwill of the local gentry. 16th and 17th centuries. In the early 16th century the Transcarpathian population participated in the uprising led by G. Dózsa (1514) of Transylvania, which was brutally repressed. It also suffered as a result of its opposition to Austrian hegemony. The enserfment of the peasantry was ultimately formalized through I. Verböczy's codex, which remained the basis of Hungarian law until 1848. After the defeat of Hungary by Turkey at the Battle of Mohács (1526) and its partition among the Ottoman Empire, Austria, and Transylvania, the history of Transcarpathia was marked by a constant threat from the Turks and by an ongoing rivalry between Austria and Transylvania. The lowland parts of Transcarpathia frequently suffered from Turkish raids, and the population of western Transcarpathia, under the jurisdiction of the Habsburg dynasty (Prešov region, Uzhhorod region), was commonly called upon for organized defense. Eastern Transcarpathia, under Transylvanian control, became a battlefield in the 17th century between the native Hungarian aristocracy (headed by Transylvania) and pro-Austrian forces (with Hungarian adherents). Transcarpathian Ukrainians took a particularly active part in the insurrection of Ferenc II Rákóczi, which in its incipient stages resembled a social revolution. They formed a personal guard for the prince and thus earned from him the title ‘most trusted people’ (gens fidelissima). As a result of the constant wars in Transcarpathia the region was economically devastated, and the German cities declined. Serfdom, too, weakened its hold, and in the mountains it was never introduced. As a consequence there was an influx of new settlers from the Galician side, where the effects of serfdom were more strongly felt. From the mid-17th century a struggle began in Transcarpathia between the Orthodox and the Uniates. It had not only a religious but also a political basis stemming from a dynastic struggle between Catholic and Protestant factions in Hungary. 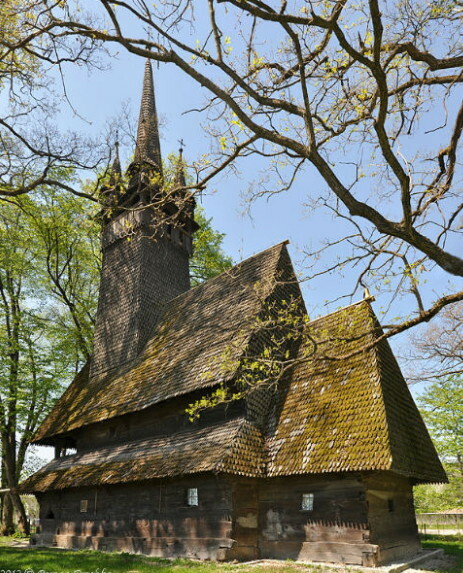 The Orthodox church of Transcarpathia was in a state of decline. The clergy lacked proper education and like their congregations were enserfed; the bishops of Mukachevo eparchy were dependent on the Hungarian Calvinist lords, who tried to bring about Reformationist changes in the Orthodox parishes. At the same time the Counter-Reformation movement that began in Hungary supported Uniate conversions among the Orthodox. The first (unsuccessful) attempt to establish the Uniate church was made in 1612 by the bishop of Peremyshl, Atanasii Krupetsky, in western Transcarpathia, the domain of the Catholic, royalist Drugeth family. The Uniate effort then gained support from Vasyl Tarasovych, the renegade Orthodox bishop of Mukachevo (who became a Uniate and fled to Uzhhorod), and P. Partenii. The outcome of their efforts was the Uzhhorod Union of 1646. Much effort into strengthening the Uniate Church was expended by the Greek-born bishop Joseph de Camelis. Under the protection of the Rákóczis, however, the Orthodox continued their activity. 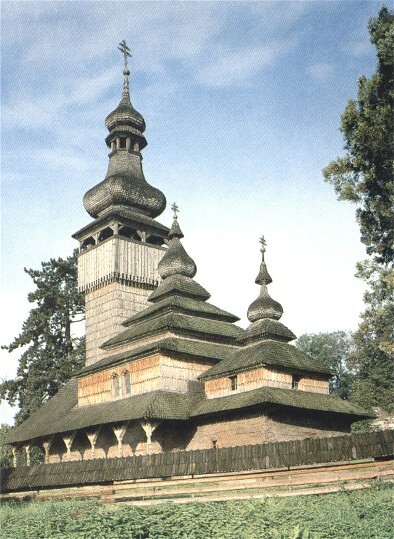 Until the end of the 18th century the bastion of Orthodoxy in Transcarpathia remained the Maramureş region, which belonged to Transylvania until 1720. After the death (ca 1728) of the last Orthodox bishop, Dosytei, the Uniate Church prevailed throughout Transcarpathia. Despite its political separation the spiritual contacts of Transcarpathia with other Ukrainian lands were close. Liturgical and theological books published in Kyiv and Lviv were used widely in Transcarpathia and in the 17th and 18th centuries a local religious literature developed there, resembling in character Ukrainian baroque literature, with minor Hungarian and Slovak influences. The common forms included bibles for teaching purposes, legends and apocrypha, collections of sermons, polemical writings and apologia (including those of the most interesting religious polemicist of the end of the 17th century, Mykhailo Andrella), chronicles (such as the Huklyvyi Chronicle), tales of the Middle Ages, and poetry. Transcarpathian literature of the 17th and 18th centuries used the vernacular. Most writings were disseminated in manuscript form; the first printed books for Transcarpathia within the Austrian Empire were produced in Trnava, Slovakia. Like education, which was provided by monastery-run schools, popular literature was permeated with a religious character. 18th to mid-19th century. The rule of Maria Theresa and Joseph II, representatives of enlightened absolutism in Austria and Hungary, was marked by concessions to the peasantry and a number of other reforms. After abolishing personal servitude in Hungary in 1785, Joseph II wanted to go even further. But his death made possible the return of old gentry privileges, and serfdom continued until 1848. The Hungarian gentry strongly opposed the liberal measures of Vienna. The revived serfdom at the end of the 18th century brought about a rebellious movement of opryshoks in Transcarpathia, which was comparable to the haidamaka uprisings in Right-Bank Ukraine. The Uzhhorod Union of 1646 did not bring about improvement in church relations. The bishops of Mukachevo eparchy were reduced to the role of vicars for the Roman Catholic archbishops of Hungary. The situation improved after Maria Theresa intervened on behalf of the Greek Catholic church, and in 1771 the Mukachevo eparchy was freed from its subordination to the Hungarian Roman Catholic archbishops. The second half of the 18th century was marked by the achievements of the bishops Mykhailo Olshavsky, Ivan Bradach, and, especially, Andrii Bachynsky in both ecclesiastical and cultural areas as well as in the improved well-being and education of the priests. The seat of the eparchy was moved to Uzhhorod (1780), a seminary was established there, and a new Prešov eparchy was formed (1816). During the late 18th and early 19th centuries a number of Transcarpathian intellectuals who had graduated from foreign universities but could not employ their skills in their homeland went to work in Galicia or the Russian Empire. Petro Lodii and Ivan Zemanchyk, for example, were professors at the Lviv Studium Ruthenum; M. Baluhiansky (Baludiansky), Ivan Orlai, Yurii Venelin, K. Pavlovych, M. Bilevych, and others gained high civil service or academic positions in Ukraine and Russia. The nature of Transcarpathian literature also changed, in that it began to reflect its authors' greater degree of schooling. Writing now diverged from the folk language, in making use of the fashionable Latin and Old Church Slavonic. Among the literati of the period were the author of a Ukrainian grammar, Arsenii Kotsak; the first historian, Yoanykii Bazylovych; the linguist Ivan Fogarashii; the poet and philosopher V. Dovhovych; and, above all, the linguist, historian, and church activist Mykhailo Luchkai (1789–1843). 1848–1918. The Revolution of 1848–9 in the Habsburg monarchy partially touched Transcarpathia. The chauvinist nature of the Hungarian movement, however, repelled the Slavic peoples and caused them to side with Vienna. Among the Ukrainians who opposed the Hungarian revolution were two of the most outstanding persons of Transcarpathia in the 19th century, the writer and educator Rev Oleksander Dukhnovych (1803–65) and the energetic politician and publicist Adolf Dobriansky (1817–1901). Under the influence of Dobriansky the 1848 Slavic Congress in Prague proposed the creation of an autonomous Slovak-Ukrainian province within Hungary. In April 1849 Dobriansky proposed to the Supreme Ruthenian Council in Lviv a program of unifying Galicia with Transcarpathia in a separate autonomous crown land within the Austrian Empire. Then he headed a delegation from the Transcarpathian Ukrainians to the Emperor Francis Joseph I requesting the creation of a Ruthenian province with national-territorial and cultural autonomy within the borders of Hungary. The project was never realized, and the only specific action toward it was the appointment of Dukhnovych and other Transcarpathian activists to administrative posts in their region. With the strengthening of absolutism in Austria and the growth of Hungarian nationalism, the Transcarpathian intelligentsia began to gravitate toward external forces: some succumbed to Magyarization, and the rest began to share Russophile sympathies. The orientation to Moscow was fanatically propagated by Rev Ivan Rakovsky, editor of the government-published Tserkovnaia gazeta (1856–8). The development of the pro-Moscow orientation was assisted by the traditional views among the clergy of Transcarpathia about the need for an all-Slavic written language: the role of Old Church Slavonic was now being supplanted by Russian or a macaronic yazychiie. Moreover, the Russian troops, invited by Austria to put down the Hungarian revolution in 1849, also left a deep impression. As exemplified by Adolf Dobriansky, Russophilism in Transcarpathia did not negate loyalty to the Habsburg dynasty, but in time it turned even more toward Russia. The Russophile tendency in Transcarpathia, unlike that in Galicia, was not counterbalanced by a populist Ukrainophile movement and thus became prevalent. At the same time the Russophile orientation led to a cleavage between the intelligentsia and the peasantry and failed to provide the latter group with an effective countermeasure to Hungarian influences. The political compromise between Austria and Hungary in 1867 that formed the Austro-Hungarian dual monarchy (see Austria-Hungary) left the national minorities at the mercy of a now-dominant Hungarian oligarchy. The Hungarian government gained the right to name the Transcarpathian bishops. Ukrainian parish schools ceased to exist; newspapers, such as Svit (Uzhhorod), 1867–71; Novyi svit, 1871–2; Karpat’, 1873–86; and Listok, 1885–1903, led a precarious existence; and the activity of the educational Society of Saint Basil the Great declined. Transcarpathia became more and more isolated from Galicia. Transcarpathian authors of the second half of the 19th century (Oleksander Pavlovych, Anatol Kralytsky, Ivan Silvai, Yevhen Fentsyk, Oleksander Mytrak, Yulii Stavrovsky, and others) continued to write in the yazychiie. Moreover, their works were commonly far removed from the vital social, economic, and cultural interests of the local population. The later 19th century was marked also by the growth of new social and economic problems. As a result of population growth and subdivision of properties with slow urbanization and industrialization, land hunger soon became evident. Alcoholism, usury, and poor harvests in the 1890s exacerbated the situation. The chronic difficulties provided an impulse for emigration to the United States, and beginning in the 1880s such emigration became massive. Movement was most intense from western Transcarpathia, where there was a long tradition of seasonal labor migration. 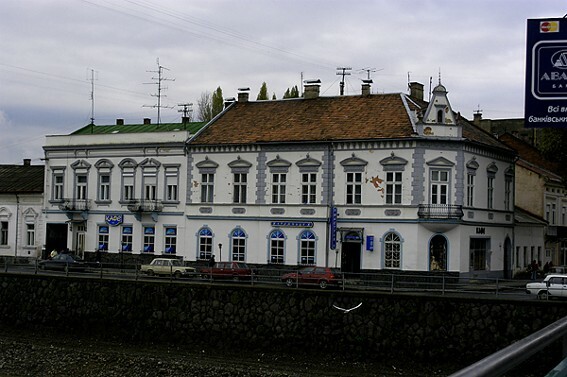 In the western provinces of Sáros, Zemplén (see Zemplén komitat), and Ung emigration canceled the entire natural increase of the population, and in 1905–7 it was twice the size of the natural increase. The period 1900–14 was marked by three important processes: increased Hungarian pressure for assimilation, a new wave of Russophile propaganda, and the emergence of a populist Ukrainophile movement. The Apponyi Laws of 1902 and 1907 introduced the Hungarian language into the remaining Greek Catholic church schools, thereby Magyarizing all the schools. 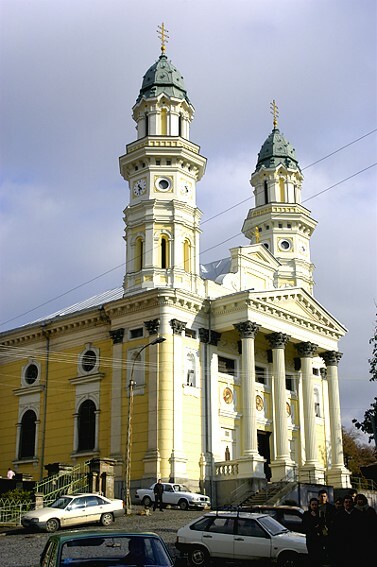 With regard to church matters, a number of parishes from Mukachevo eparchy and Prešov eparchy were combined in 1912 to form the new Hajdúdorog eparchy, where Hungarian was introduced as the language of liturgy. The bishop of Prešov, I. Novak, introduced the Gregorian calendar (to correspond with that used by the Roman Catholic Church) and the Ministry of Education in 1916 adopted the use of the Hungarian alphabet for Ukrainian publications. From 1900 the fate of Transcarpathia began to interest the Russian Pan-Slavists in Saint Petersburg and the Russophiles in Galicia. With the support of Count V. Bobrinsky in Saint Petersburg, a campaign was started to demand the return of Orthodoxy in Transcarpathia. It found fertile ground among victims of the Hungarian denationalization policies, but it was quickly stifled by the Hungarian authorities at a show trial in Sighetul Maramaţiei (December 1913 to March 1914). The worsening conditions of Transcarpathia, on the one hand, and the example of Galician Ukrainian populism (see Western Ukrainian Populism), on the other, prompted a call to action by a group of young secular and clerical intelligentsia. The first representative of modern Ukrainianism, Mykhailo Drahomanov, was much concerned about the fate of Transcarpathia and visited it twice in 1875–6. Beginning in the 1890s a number of Galician-Ukrainian scholars became interested in Transcarpathian topics, among them Ivan Franko (historical literature), Volodymyr Hnatiuk (ethnography), Ivan Verkhratsky (dialectology), and Stepan Tomashivsky (history and statistics). Under their influence local scholars, such as Yurii Zhatkovych (history) and Hiiador Strypsky (literature), began to collaborate in the publications of the Shevchenko Scientific Society. In the area of language and literature the populist movement was started by Lázló Csopey, who wrote Ukrainian-Hungarian primers and a dictionary based on the vernacular of Transcarpathia. A notable educator of the first half of the 20th century was Rev Avhustyn Voloshyn. His grammar of the Ukrainian language (in Hungarian, 1907) became the standard. He published the newspaper Nauka and compiled a number of popular handbooks, calendars, and educational books. Although not massive, the populist movement became deeply rooted before the First World War. With the fall of the Habsburg monarchy in 1918, it assumed an overtly political role. Since 1918. (Map: Transcarpathia in 1919–45.) The independentist efforts of Galician Ukrainians influenced Transcarpathians to embark on a similar path. Town and village councils were convened, and on 8 November 1918 a Ruthenian People's Council was held in Stará L’ubovňa (see 1918 Ruthenian People’s Council in L’ubovňa). It was the first of several gatherings (notably in Svaliava on 8 December 1918 and Sighetul Maramaţiei on 18 December 1918) that attempted to come to grips with the region's political future. A grand congress of ‘all Ukrainians living in Hungary’ involving 400 delegates was convened in Khust on 21 January 1919. Chaired by the brothers Mykhailo Brashchaiko and Yulii Brashchaiko, the gathering expressed its will to join the Ukrainian National Republic. A different council met in Uzhhorod on 8 May 1919, established the Central Ruthenian People's Council, and chose to seek regional autonomy within the newly created state of Czechoslovakia. That council was influenced and supported by the activity of Transcarpathian émigrés in the United States, whose representatives were negotiating with Czechoslovak politicians to include Transcarpathia in the future republic on a federative basis. A plebiscite carried out among the Transcarpathian communities in the United States yielded a two-thirds majority vote in favour of the union. As a result of those acts of the popular expression of political will and of diplomatic measures of the Czechoslovak politicians, the Paris Peace Conference sanctioned (through the Treaty of Saint-Germain) the transfer of Transcarpathia and guaranteed its autonomous status within Czechoslovakia. Czech rule in Transcarpathia was distinguished by a number of reforms, most of which had positive results. Nevertheless a number of measures were taken which contradicted the desires of the Transcarpathian Ukrainians for self-administration. The administrative-political organization of the region was defined by the statutes of the Prague government (1919, 1920), which contravened the Treaty of Saint-Germain and the Czechoslovak constitution concerning autonomy. Transcarpathia was established as a separate administrative region, Subcarpathian Ruthenia. But the western boundary was so defined that approx 100,000 Ukrainians, living mostly in the Prešov region, were placed within Slovakia. The boundary issue and questions about the degree of Subcarpathian Ruthenia's antonomy led the appointed governor of the province, Hryhorii Zhatkovych, to resign in protest after 1921. The second governor, Antin Beskyd (1923–33), had only nominal powers; the actual executive power was wielded by a Czech vice-governor (A. Rozsypal), who presided over an administration composed mostly of Czechs. Administrative reorganization in 1925 and 1927 involved greater centralization: Subcarpathian Ruthenia as a whole was given equal status with four other provinces of Czechoslovakia, the subdivision of the region into zhupas (see komitat) was abandoned, and the self-administration of the rural communities (hromadas) was limited. Only in 1937, with the creation of the governor's council during the governorship of Konstantyn Hrabar (1935–8), was a first step toward actual autonomy taken. The council was substantially broadened in the autumn of 1938 during the reorganization of the Czechoslovak Republic. The political life of the region centered initially around the activity of two people's councils, one pro-Ukrainian and the other Russophile. In time 10 political parties emerged in Transcarpathia, mostly branches of Czech parties. Although the emergence of the parties promoted broader political participation, it also diffused the local efforts for regional development. The elections of 1924 and 1925 gave a majority in Transcarpathia to the Communists; only in 1928 and 1935 were majorities of noncommunist members of parliament and senators elected. Even then Ukrainians constituted a minority of the elected politicians. The greater social and political freedom afforded Transcarpathia under Czechoslovak than under Hungarian rule provided an impetus for increased civic life. At the same time, however, it brought forward problems related to the national self-identification of the people in the region. Three orientations were articulated in the interwar era, Ukrainophile, Russophile, and Rusynophile. The Ukrainophiles continued to take their cues from their counterpart movement in Galicia. Centered around institutions such as the Prosvita (which had grown to include 14 branches with 232 reading rooms by 1936), the Teachers' Hromada of Subcarpathian Ruthenia, the national theater and choir in Uzhhorod, the Plast Ukrainian Youth Association, and the newspaper Nauka and then Svoboda (Uzhhorod), the movement included figures such as Avhustyn Voloshyn, Avhustyn Shtefan, Mykhailo Brashchaiko, Yulii Brashchaiko, Yuliian Revai and Fedir Revai, Stepan Klochurak, and Rev Vasyl Hadzhega. The pro-Russian activists belonged to the Dukhnovych Society and the Orthodox church, organized by Russian émigrés and supported by the Czech government to counterbalance the Greek Catholic church (which included a significant number of Magyarone clergymen). In 1936–7 the pro-Russian activists tried to gain control of schooling by organizing so-called school plebiscites concerning the language of instruction. The Rusynophile orientation, adhered to by some individuals, developed a specific institutional form only with the creation of the Subcarpathian Scientific Society in 1941. Viewing themselves as Ruthenians (rusyny), a people distinct from Ukrainians, the Rusynophiles promoted a local patriotism that invoked the spirit of Adolf Dobriansky and Oleksander Dukhnovych. The Rusynophiles remained the least developed of the three orientations throughout the interwar period. Yet a strong current of Rusynophilism developed among the region's Greek Catholic clergy during the 1930s as it purged itself of the Magyaronism that had entrenched itself deeply during the many decades of Hungarian rule. The Russophiles remained quite active in the 1920s but faltered in the 1930s. The Ukrainophile orientation enjoyed official support in the 1920s and had developed a dynamic institutional network by the mid-1930s. 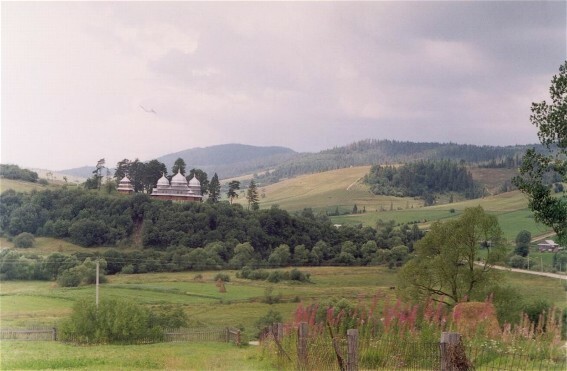 During two decades of Czech government in Transcarpathia, considerable progress was made in improving the infrastructure and social organization of the region (such as in the building of new roads, the modernizing of the cities, the construction of community buildings, hospitals, and clinics, and the founding of assistance schemes for poor highlanders). But the chronic unemployment of the Transcarpathian poor increased as a number of local industrial enterprises closed, unable to compete with Czech industry. Migration for seasonal labor, emigration, and government financing of public works only partly alleviated the difficult conditions of the mountain folk. The depression in the early 1930s caused hunger in Transcarpathia, and massive unemployment gave rise to worker unrest. Communists proclaiming pro-Soviet slogans in favour of the Union of Soviet Socialist Republics and the Ukrainian Soviet Socialist Republic attained considerable support in the region. Anti-Czech sentiments began to grow in the 1930s as a response to the increasingly centralist policies of Prague and the presence of a large number of Czechs in Transcarpathia (30,000 in 1930), 70–80 percent of whom were part of the administrative apparatus. The sentiments added impetus to the calls for an autonomous government in Transcarpathia. Carpatho-Ukraine was established on 11 October 1938 in the wake of the restructuring of Czechoslovakia brought on by the Munich Agreement. Andrii Brodii served as the first premier. After being discredited as an agent of Hungary and arrested for treason he was replaced (26 October 1938) by Avhustyn Voloshyn. The new political-legal status of Transcarpathia was defined by a constitutional law dated 22 November 1938, which stipulated a separate autonomous government with its own legislature consisting of an elected Diet of Carpatho-Ukraine. After the Vienna Arbitration, which allocated to Hungary the southern part of Transcarpathia, along with the cities of Uzhhorod, Mukachevo, and Berehove, the capital was transferred to Khust. On 12 February 1939, elections to the first parliament of Carpatho-Ukraine took place. The Ukrainian National Alliance (Transcarpatia) party won a resounding victory. International events interfered with the normal development of Carpatho-Ukraine. Hungary and Poland agitated for a common border at the expense of Transcarpathia and sent groups of agents to raise turmoil and disorder. Tension between the Czechs and the Ukrainians also increased with the appointment of a Czech minister to Khust, General L. Prchala. Simultaneously with the Nazi German occupation of Bohemia and Moravia on 14 March 1939, Adolf Hitler entrusted Hungary with the occupation of Transcarpathia. On 15 March 1939, before the Hungarians had overrun Transcarpathia, the Diet of Carpatho-Ukraine in a symbolic gesture declared independence, approved a constitution, and elected Avhustyn Voloshyn president. Subsequently the government of Carpatho-Ukraine and many activists fled abroad to escape Hungarian repressions. The Hungarian occupation of Transcarpathia was connected with terror and repressions directed against Ukrainian activists. Instead of the autonomy initially promised, the Hungarians allowed for a narrow-based self-rule while conducting a policy of Magyarization in cultural life and administration. Budapest promoted the development of a Ruthenian language and culture and tolerated the activities of the Russophiles but prosecuted Ukrainophile activism. The Subcarpathian Scientific Society and Rusynophile publications were supported by the government. Political organizations were forbidden. The reaction to the pressure was a massive escape on the part of Transcarpathian youths across the mountains to the Ukrainian SSR in 1940–1 and growing activity on the part of the Ukrainian nationalist underground. The Hungarians failed to gain support from the local population during their administration in 1939–44. The arrival of the Soviet armed forces in Transcarpathia in the autumn of 1944 was regarded by most of the population as liberation. Transcarpathia was quickly brought under Soviet control. On 26 November 1944 the Communist party organized a congress of people's committees of Transcarpathian Ukraine in Mukachevo which expressed its desire for the unification of Transcarpathia with the Ukrainian Soviet Socialist Republic. The Communist-dominated People's Council of Transcarpathian Ukraine led the local effort toward that goal. An agreement between Czechoslovakia and the USSR sanctioning the transfer of Transcarpathia from Czechoslovakia to the Ukrainian SSR was concluded on 29 June 1945. 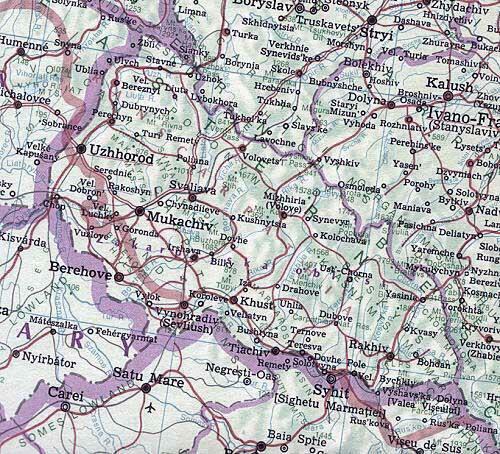 By January 1946 the Transcarpathian oblast organs of Ukraine had been established. Transcarpathia oblast, corresponding in territory to the Subcarpathian Ruthenia of 1919–38, underwent a social, economic, and cultural development in the post–Second World War period similar to that of the rest of the Ukrainian lands within the Ukrainian SSR. The Prešov region remained in Slovakia. In its first years of power the new regime nationalized all enterprises, and in 1949–50 it collectivized agriculture. The Soviet education system was introduced, and in 1946 Uzhhorod University was established. The Greek Catholic church was persecuted, and Bishop Teodor Yurii Romzha was assassinated (1947); in 1949 the church was formally liquidated. The new administration also pursued a definite cultural policy of Sovietization and Ukrainization, which ultimately integrated the Transcarpathian region into the mainstream of Ukrainian civic life. That integration was reflected in the December 1991 referendum on Ukrainian independence, in which the residents of the oblast, notwithstanding their unique history, voted 92.5 percent in favor of independence (with a voter turnout of 82.9 percent). Rusynophile sentiment, already eroding by the 1930s, continued to decline in the postwar period. A Rusynophile consciousness, however, developed to a greater extent among Transcarpathian émigrés (or their descendants) in the United States, who established an institutional base around a separate eparchy of the Greek Catholic church and a variety of civic organizations and became endowed with a scheme of history through the writings of the historian Paul Magocsi. Population. The population of Transcarpathia is distributed according to the topography and is therefore uneven. The mean population density of Transcarpathia is 98 persons/sq km (2001). The most densely and completely settled areas are the Tysa Lowland along with the foothills of the Volcanic Ukrainian Carpathians (120–145 persons/sq km) and the Maramureš Basin (75–95 persons/sq km). In the mountains (with densities of 35–45 persons/sq km) the population is concentrated in the two bands of lower elevations and, to some extent, in the perpendicular valleys. 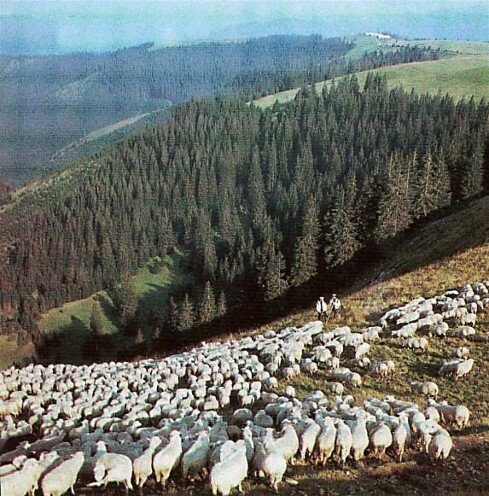 The high mountainous areas are almost devoid of permanent settlement, although in the summer their alpine meadows support a considerable number of shepherds tending their flocks. 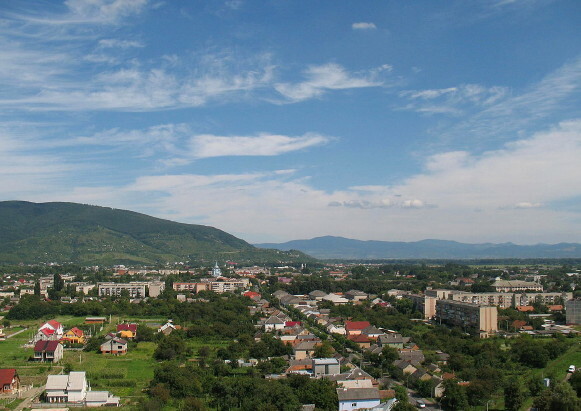 Urbanization in Transcarpathia is relatively low. In 2001 some 37 percent of the population was urban (the lowest in Ukraine). That percentage represents a decrease, from 41 percent in 1989 (and an increase, from 23 percent in 1956 and 20 percent in 1930). Transcarpathia (2001) has 2 major cities, Uzhhorod (2001 pop 117,600) and Mukachevo (82,200), as well as 8 larger towns (Berehove, Khust, Vynohradiv, Rakhiv, Svaliava, Tiachiv, Irshava, and Chop) and 28 town smts. For a long time the region's cities had an exclusively commercial-administrative profile; more recently they have also acquired an industrial aspect. They emerged on the crossroads of routes parallel and perpendicular to the mountains, the largest ones being located on the border between the mountains and the Tysa Lowland. The population of Transcarpathia has grown rapidly since the last quarter of the 19th century, despite a relatively large transoceanic emigration, because of a high natural increase and relatively small population losses during both world wars. In the Prešov region the natural increase was the same as in Transcarpathia, but the actual population growth was lower because of sizable emigration. About 100,000 Ukrainians from Transcarpathia (together with the Slovak-speaking Greek Catholics from the Prešov region) emigrated, almost exclusively to the United States, before 1914. In the 1920–38 period the number of emigrants fell to approx 40,000. That emigration rate (per thousand residents) was higher than in any other region of Ukraine. Accordingly, in 1988 in the United States there were an estimated 450,000 persons of Transcarpathian origin, who make up about 30 percent of all Transcarpathian Ukrainians (or 45 percent of all western Transcarpathian Ukrainians). The ethnic composition of Transcarpathia's population in 1930, within the Ukrainian ethnographic limits and, separately, within the administrative limits of Subcarpathian Ruthenia and Transcarpathia oblast, is summarized in Table 2. (The changes in ethnic composition between 1931 and 1979 are documented in Table 3). The largest minority was and continues to be the Hungarian, which constituted a majority in a narrow southern strip of the administrative unit and was also concentrated in the larger cities. Within Ukrainian ethnographic territory the Jews were the largest minority, not only in the cities (26 percent in 1930) but also in the villages (11 percent). 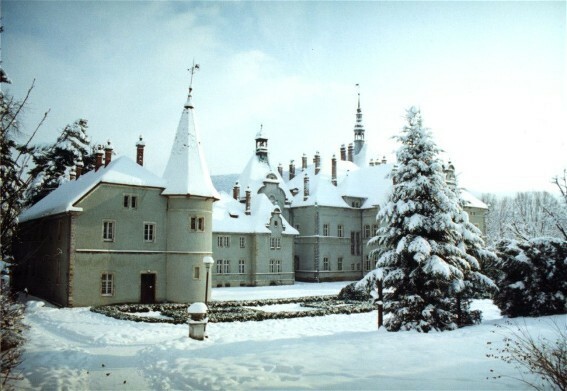 The Germans had seven small colonies in the mountains, and the Romanians were concentrated in four large villages to the north of Sighetul Maramaţiei. Itinerant Gypsies were not uncommon. After the Second World War the proportion of minorities declined, especially the Jews, Germans, and Czechs (the last group being replaced by Russians). Consequently the share of the Ukrainian population increased to more than 80 percent. Economy. 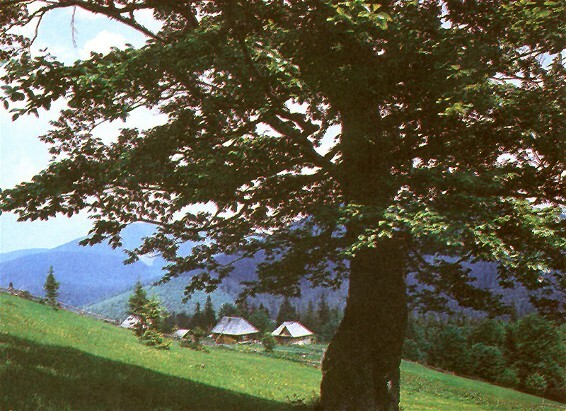 The development of the Transcarpathian economy reflected the region's natural resources and the policies of the countries to which it belonged. 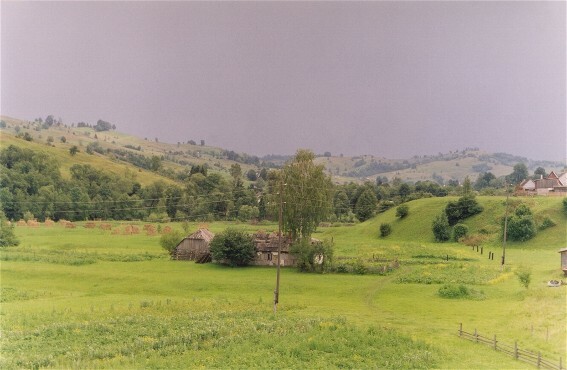 The mountainous part of Transcarpathia, occupying 80 percent of the region, was dominated by forestry and animal husbandry, whereas the lowlands and foothills were the domain of field crops, orchards, and vineyards. Extractable minerals included salt, lignite, building materials, and some metal ores, and there were numerous sources of mineral water. Those natural resources were little developed during the long Hungarian rule. Agricultural development was impeded by the minute size of peasants' plots, and industrial development was inhibited by competition from the Hungarian heartland. Capital was in non-Ukrainian hands (mainly Jews and Hungarians), and the Ukrainian peasantry could not improve its own well-being because of lack of schools and administrative controls. Of the various branches of the economy the most developed was forestry. Hungary, generally devoid of trees, had a need for lumber and firewood. The Ukrainian peasantry supplemented its household budgets with earnings from forestry and seasonal (harvest) work on distant Hungarian estates. 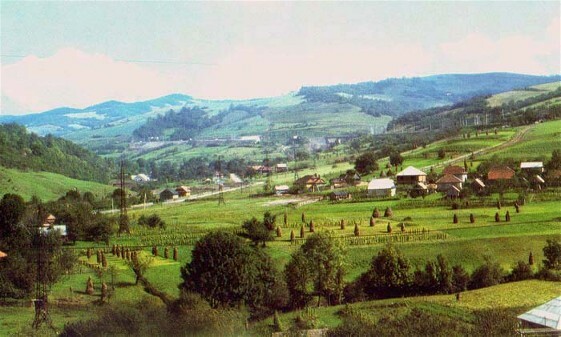 The incorporation of Transcarpathia into Czechoslovakia raised the economic level of the region. An agrarian reform was implemented, the yields improved significantly (on average by 50 percent), a road network was constructed, a school system was developed (including trade schools), co-operatives began to flourish, and a middle class began to emerge. 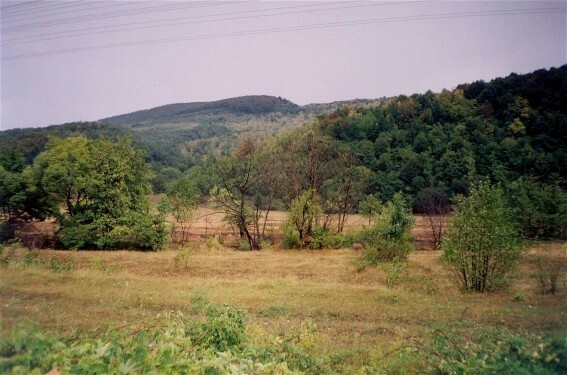 The Czech government, however, did not favor the industrialization of Transcarpathia, but preferred that it serve as a market for Czech industry. The economy was also hindered by the distance to the Czech heartland and the border that separated Transcarpathia from the Pannonian Plain, which complicated the marketing of lumber and wood products. Land shortage among the peasantry continued (45 percent of the households did not have even 2 ha of land, 30 percent had 2–5 ha) while earnings from forestry declined, seasonal harvest work in Hungary was curtailed, and emigration to North America slowed down during the depression. All that contributed to the increased pauperization of the Ukrainian peasantry, particularly in the mountains. Under Soviet rule Transcarpathia became an integral part of the economy of the Ukrainian Soviet Socialist Republic and the Union of Soviet Socialist Republics as a whole. Existing industries were developed (forestry, food processing, salt mining), and new ones were started (lignite mining, light industry, and, most recently, machine building and metallurgy). Agriculture was collectivized, and more intensive branches (grapevine cultivation, orcharding, tobacco growing, and livestock raising) were developed. Agriculture, until recently the main economic sector, employed (1987) approx one-third of the labor force. Agricultural lands, however, occupy only 35.8 percent of the total land area, with 17.9 percent in hayfields and pastures, 15.1 percent in cultivated land, and 2.8 percent in vineyards, orchards, and other planting; another 3.8 percent is in household gardens. About 52 percent of the land is forested. The total sown area in 1987 was 197,000 ha (down from 211,000 in 1956); grains accounted for 64,000 ha (98,700 ha in 1956), or 32.5 percent of all the crops sown. The leading grain in 1974 was winter wheat (41,000 ha, or 57 percent of all grains); it was followed by corn for grain (13,000 ha, or 18 percent). Oats, barley, buckwheat, and other grains were of less importance. Fodder crops in 1987 occupied 96,000 ha (49 percent of the sown area), potatoes and vegetables, 30,500 ha (16 percent), and technical crops, mainly tobacco and sunflower, less than 6,000 ha (3 percent). The lowlands and foothills remain the domain of wheat and corn; in the mountains the prevalent crops are oats, rye, and potatoes. The total sown area has declined from what it was in the pre–Second World War period by about 16 percent, and the grain area by 58 percent; the feed crop area has increased fourfold. Vineyards, which are of considerable significance, produce for export (mainly in Berehove, Uzhhorod, Mukachevo, Serednie, and Vynohradiv) both table grapes and white wine. The vineyard area increased from 2,900 ha in 1936 to 6,700 ha in 1956 and reached 12,300 ha in the 1970–5 period. The area of orchards and berry plantings increased from 4,000 ha in 1936 to 18,500 ha in 1956 and 56,100 ha in 1966, and declined to 41,200 ha in 1975. Among industrial crops the most important is tobacco (3,000 ha in 1956). All productive livestock except horses increased in number from the pre–Second World War period (1937): horses declined from 41,300 to 32,000 in 1956, but cattle increased from 219,500 to 244,000 in 1956 and 354,000 in 1987; hogs, from 82,000 to 196,000 in 1956 and 302,000 in 1987, with fluctuations down to 188,700 in 1976; and sheep and goats, from 132,000 to 309,000 in 1956 and 1966, with a slow downward adjustment to 304,400 in 1987. Livestock husbandry was intensified with the introduction of more productive breeds. In the lowlands and foothills animal husbandry is closely related to crop production; in the mountains the livestock feed base consists of mountain meadows and natural hayfields. 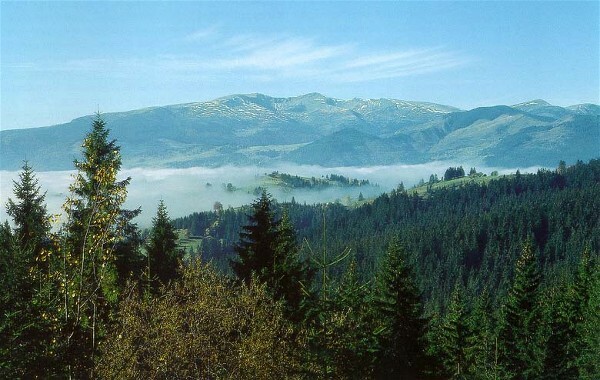 Transcarpathia's greatest source of wealth is the forest, which occupies about 628,000 ha, or 49 percent of the land area. The main tree species are beech (58 percent of the forest area), fir (29 percent), oak (7 percent), and spruce (4 percent). In 1956, the lumber industry and the woodworking industry, the basic industries of Transcarpathia, provided 53 percent of the industrial output in the region and employed 29,000 persons, or 57 percent of the industrial labor force. At that time the lumber industry produced 2.6 million cu m of wood and 0.7 million cu m of sawn timber. Since then the lumber industry has been modernized, and its capacity increased, but its share of the total industrial output had declined to 20 percent by 1985. Almost all the timber is processed locally in numerous woodworking establishments, scattered throughout Transcarpathia. The largest ones are located in Svaliava (logging, milling, furniture, and wood chemicals; see Svaliava Forest Products Complex), Teresva (logging and milling), Rakhiv (logging and cellulose-paper and cardboard manufacturing), Velykyi Bychkiv (logging and wood chemicals), Mukachevo (logging, milling, and furniture), Uzhhorod (logging, milling, furniture, and other wood-based industries), Perechyn (logging and wood chemicals), Velykyi Bereznyi (logging, milling, and furniture), Khust (logging and furniture), and Berehove (milling and furniture). Beech is the principal raw material for furniture. The hydroelectric power potential of the mountain region is only partially developed. Two small hydroelectric power stations on the Uzh River were in operation before the Second World War. During the Soviet period the Tereblia River-Rika River system, brought into production in 1956, together with a large thermoelectric power station between Uzhhorod and Mukachevo, became the major regional source of electricity. The mining of lignite was begun after the Second World War; it had reached considerable production (460,000 t) by 1955 but it subsequently declined to about 150,000 t per year (1985). Two gas deposits of commercial volume have been tested, and there is potential for more. The Solotvyna rock-salt deposits have been mined for a long time. During the Czech regime the mine was modernized, and production was raised to 170,000 t per year (it was the main source of salt within Czechoslovakia). Subsequently the output was raised even more (to 332,000 t by 1956 and 837,800 t by 1980). There is a broad diversity of metal ores (iron, manganese, lead, zinc, mercury, gold, silver, alunite, and bauxite) and barites (for white pigments), but the deposits are usually small. Of considerable importance is the building-materials industry, including the mining of andesite, tufa, and marble, the extraction of chalk and clay for cement, and the making of brick and tiles in larger cities. The food-processing industry, second in the share of value of production (28 percent of all industry in 1956, 22 percent in 1985), is concentrated mostly in the larger cities. Meat packing is located in Uzhhorod and Mukachevo; dairy, flour milling, confectionery, and macaroni-making, in Mukachevo; wine-making, in Vynohradiv; fruit preserving, in Solotvyna; and tobacco-packing, in Mukachevo. Light industry, developed mostly after the Second World War, continued to increase its share of the industrial output, from 12 percent in 1956 to 18 percent in 1970, where it remained until 1985. The cottage industry of folk arts, notably embroidery and wood carving, is important even today, especially in the eastern, Hutsul, part of the region (see Hutsul region). Modern industries, specifically machine building and chemicals, have grown most rapidly in the postwar period (from 2.3 percent in 1956 to 33 percent in 1985). They are concentrated almost exclusively in the two major cities of Transcarpathia (equipment and machine building in Uzhhorod and Mukachevo and chemicals in Uzhhorod), and so give rise to even greater differentiation in the level of economic development between the lowland urban centres and the backwoods mountain areas. The major industrial centres are Uzhhorod, Mukachevo, Berehove, and Khust. Transcarpathia has 652 km of standard-gauge railway (excluding narrow-gauge) and 3,400 km of hard-surface roads (1987), both of which provide a higher-density network than has Ukraine as a whole. The railway lines with most significance today are those connecting Transcarpathia with the rest of Ukraine across the Carpathian Mountains: the Uzhhorod–Lviv line via the Uzhok Pass, the Mukachevo–Lviv line via the Volovets Pass, and the Rakhiv–Deliatyn line via the Tatar Pass. The line traversing the length of Transcarpathia from Prešov (now in Slovakia) through Chop and Khust (with a short stretch in Romania) to Rakhiv has diminished in importance: in 1920–45 the main line of Transcarpathia, it is now a connector of regional importance. Automobile transport has grown rapidly and is particularly significant in Transcarpathia, where it supplements the railway, notably in the mountain valleys. The most important segments of the road network include the major highway from Uzhhorod through Mukachevo and then past Svaliava to Lviv, the Mukachevo–Khust–Tiachiv–Rakhiv–Yasinia highway, the Chop–Uzhhorod–Perechyn–Velykyi Bereznyi route to Sambir and Lviv, and the Chop–Berehove–Vynohradiv–Khust–Mizhhiria route to Kalush and Ivano-Frankivske. As an economic region Transcarpathia generates a surplus of lumber and forest products, wine, fruit and vegetables, and tobacco. The mineral springs and picturesque landscapes still represent a largely undeveloped potential that is rapidly gaining popularity as an area for resorts and tourism. A referral to this page is found in 288 entries.